Fedor Smolov’s 20th-minute goal gave Russia their first win under new coach Stanislav Cherchesov as the 2018 World Cup hosts overcame Ghana 1-0 in a friendly in Moscow on Tuesday. It was a proud moment for captain Vasili Berezutski who won his 100th cap for Russia, who came into the game looking for a much-improved performance following a disappointing goalless draw in Antalya against Turkey a week ago. Smolov scored his sixth goal for his country after playing a one-two with Alexander Samedov and sending a fierce drive through the legs of goalkeeper Adam Kwarasey. 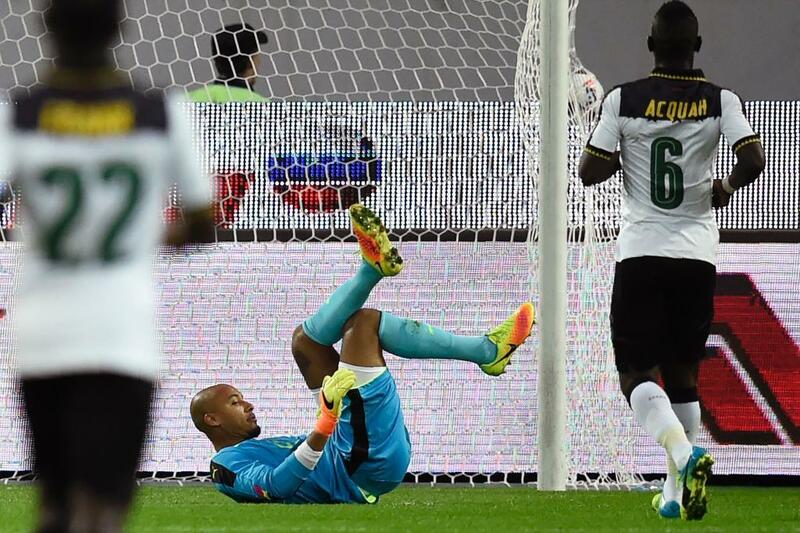 Ghana, coached by Avram Grant, looked off the pace for long periods of the first half. Their preparations for the match were hindered as some of their players suffered delays in arriving in the Russian capital due to transport problems. Russia looked fluid going forward and Alan Dzagoev, who missed Euro 2016 through injury, had a decent chance to double his side’s lead before halftime, but shot straight at Kwarasey. Smolov also had an opportunity in the second half to extend his team’s lead, but the Ghana goalkeeper managed to get an important touch to deny the Krasnodar forward a clean shot at goal. Igor Akinfeev, who made his 92nd appearance to become the country’s most capped goalkeeper, made a good save at his near post late on to deny Christian Atsu’s goalbound shot, as Russia held on for victory.